She is an entertainment figure in her own right, and an outspoken woman comfortable talking about her background and her passions. American actress Meghan Markle will be a new type of royal when she weds Prince Harry in the spring. In some ways, Markle — a mixed-race American raised in California, and a divorcee — makes a surprising addition to Britain's monarchy. 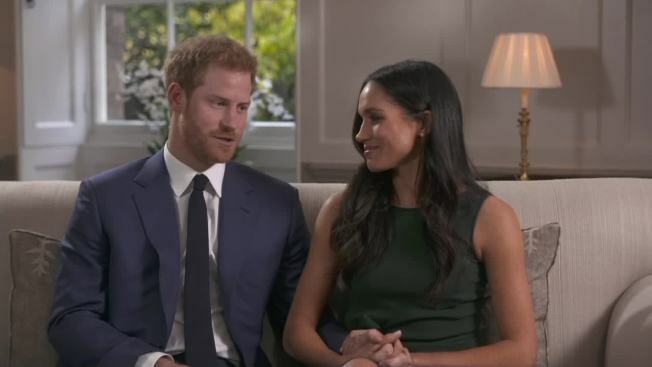 But the institution has moved on with the times, and the romance between Markle and Harry has a decidedly unstuffy, modern feel to it. 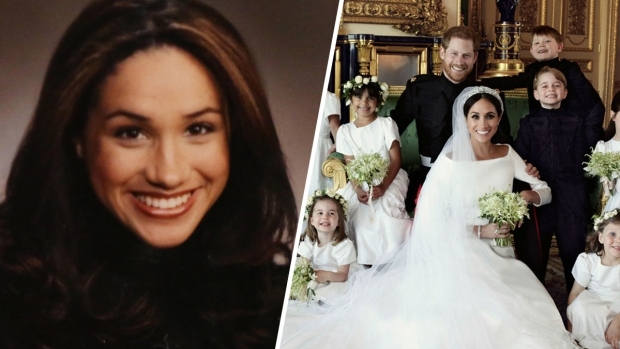 Markle, best known for her role as an ambitious paralegal in the hit U.S. legal drama "Suits," surprised many when she shared her feelings for Harry in a September cover story for Vanity Fair. Asked about the media frenzy surrounding their courtship, the 36-year-old said: "At the end of the day I think it's really simple ... we're two people who are really happy and in love." 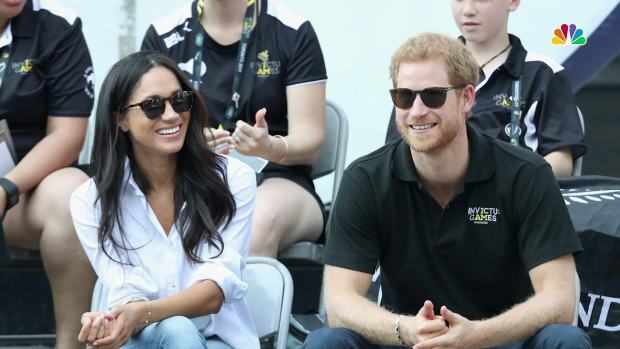 Describing Harry as her "boyfriend," Markle said that while she expected that she and Harry would have to "come forward" about their relationship at some point, the two were just a couple enjoying time spent with each other. "Personally, I love a great love story," she said. It is unusual for a royal love interest to speak so publicly — and candidly — before becoming engaged. Harry's past reported girlfriends all shied away from the media limelight, and his sister-in-law, formerly known as Kate Middleton, stayed silent until she and Prince William gave a formal televised interview at Buckingham Palace after their engagement became public. But then, unlike some other "commoners" romantically linked to Britain's royals, Markle is no stranger to media exposure and the world of show business. The actress's most successful role is the feisty Rachel Zane in the TV legal show "Suits," now in its seventh season. Her career has also included small parts on TV series including "Fringe," ''CSI: Miami," ''Knight Rider" and "Castle," as well as movies including "Horrible Bosses." Outside of acting, Markle founded a lifestyle blog called TheTig.com (which closed down in April without explanation), and has lent her celebrity status to humanitarian causes. She has campaigned for women's equality for UN Women as an "Advocate for Political Participation and Leadership." At a 2015 star-studded event for the U.N. women's agency, she said: "I am proud to be a woman and a feminist." UN Women said in a statement late Monday that it "trusts and hopes that in her new and important public role she will continue to use her visibility and voice to support the advancement of gender equality." Markle has written in Time magazine about girls' education and the stigma surrounding menstruation, and has traveled to Rwanda as global ambassador for the charity World Vision Canada. She has described how her mother took her to the slums of Jamaica to witness poverty first-hand, saying experiences like that shaped her social consciousness and charity work. Both were dressed casually in jeans, smiling and chatting as they arrived for a tennis match. Several days later, Harry was photographed kissing Markle on the cheek as he joined the actress and her mother in a luxury box to watch the event's closing ceremony. The media attention then became so intense that Harry took the unusual step of officially confirming the romance in order to warn the media off. In a strongly-worded statement issued through the palace, the prince pleaded for reporters to stop intruding on his girlfriend's privacy. He condemned "outright sexism and racism" in some online comments, and said some articles with "racial undertones" had crossed the line. Some tabloids had alluded to Markle's mixed-race heritage, pointing out she has an African-American mother and a white father. In a March interview with Allure magazine, she said studying race at college was "the first time I could put a name to feeling too light in the black community and too mixed in the white community. "For castings, I was labeled 'ethnically ambiguous'," she said. She studied at a girls' Roman Catholic high school before attending Northwestern University in Illinois, where she studied theater and international relations. It wouldn't be the first time that a British royal has married an American — or a divorcee. In 1936, Edward VIII famously abdicated after he was forced to choose between the monarchy and his relationship with twice-divorced American socialite Wallis Simpson. In her Vanity Fair interview, Markle made clear the world's attention on her romance did not faze her. "I'm still the same person that I am, and I've never defined myself by my relationship," she said. "The people who are close to me anchor me in knowing who I am. The rest is noise."